Mainly for driveways, but looks great as ground cover. Will settle well and can be used for paths. This really is a nice warm finish and goes down well and also wears well. 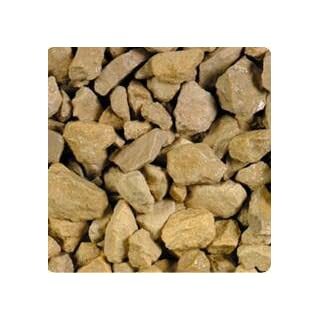 Also know as Buff Limestone or Cotswold Chippings. 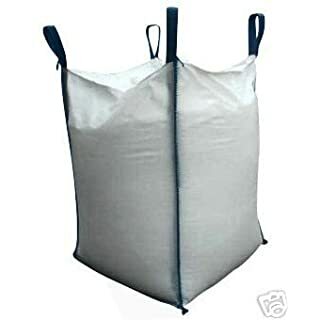 Bulk bags of stones varying from 10mm - 20mm in size, weighing between 800 - 1000kg. 1000kg will cover approximately 10m2 at 50mm thick. 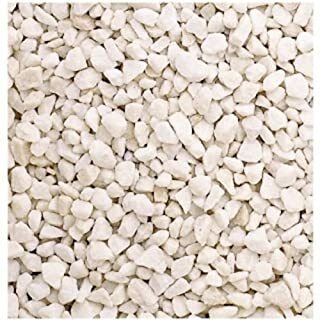 20mm gravel is ideal for drives and gardens. 20mm is the recommended size for driveways as the 10mm has a tendency to get stuck in car tyres. 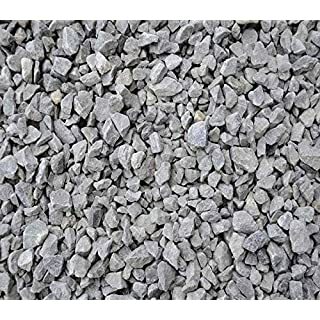 Around the garden, gravel/shingle is most often used around flowerbeds, in pots and on paths where it provides a comfortable walking surface. It is also used as a good weed suppressant as it blocks the weeds from coming through. 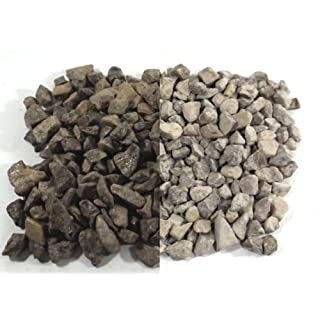 Other uses are for mixing with sand, cement and water to form concrete. PLEASE NOTE. 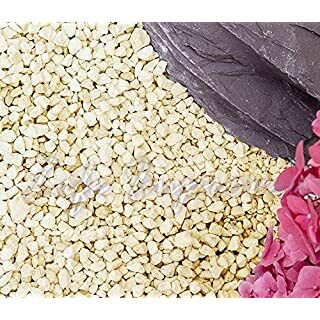 COLOUR/TYPE OF GRAVEL VARIES DEPENDING ON YOUR LOCATION IN THE UK. Safety Information: Please consider the size of Decorative aggregates/stone where young children may be present. Smaller sizes are - Not suitable for children under 36 months as this product may cause a choking hazard. Comes in a convenient handypack bag, with approx. 20kgs of golden decorative stone inside. 3 to 4 handypacks will cover approx. one square meter laid at a 40mm depth. For larger orders please see: www.rockincolour.com. As with all natural stone, it can break down due to time and wear, and to keep your driveway/pathway in good condition it is recommended that you top up your stone from time to time. And as this is a natural stone, some dirt is to be expected amongst the stone, which can be remedied with water. Our Ground Cover Weed Control Fabric is ideal for use in beds and borders to act as a weed barrier yet will still allow moisture through to plants. 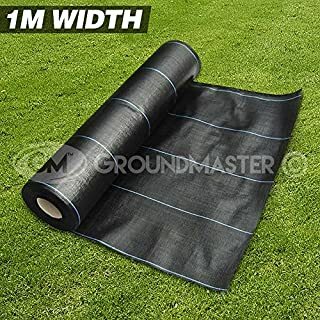 An environmentally friendly spun-bonded polypropylene ground cover with UV stabiliser, very easy to cut and plant through and perfect to use under a mulch such as wood chips. Outstanding weed suppression with excellent water permeability UV resistance. 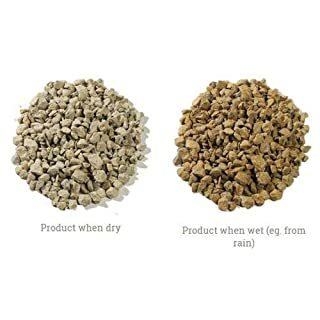 Water permeability maintains subsoil moisture levels without puddling. 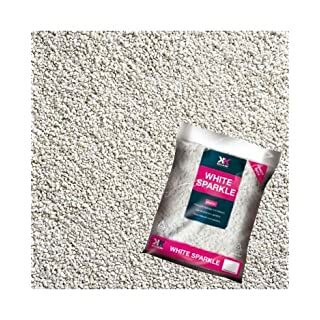 Can handle pedestrian and light traffic - great for under driveways, gravel paths. Typical Uses: Under Decks, Garden Paths, Scree Gardens, Block Pavior Driveways, Aggregate Driveways, Car Parking Areas & Road Construction, Under Plastic Grid Paviors, Patios & Paved Areas, Tennis Courts & Golf Courses, Nursery Poly Tunnels, Horse Menage, Flower & Scrub Beds, Vegetable & Fruit gardens Photos provided in the listing are representative of the weed control fabric, the length and thickness of the roll will be dependant on size ordered and 10m Lengths are supplied in packs. 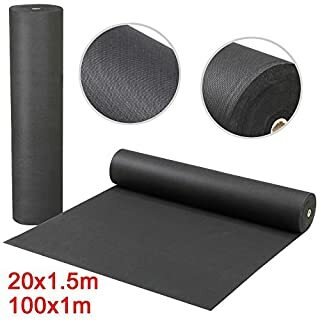 Any lengths larger than 10m are supplied as a roll. Brighten up your dull pathways, gloomy driveways and lifeless plant pots with these Chippings. They are made from organic materials leaving a natural impression on your house, creating a decorative feature in your garden. They also help deter weeds on beds and borders, promoting a healthier, cleaner garden. Create features such as alpines or rock gardens to complete the perfect outdoor look. -----Coverage Rates: ---With a driveway, the chippings are laid to a depth of 5cm. For 10kg chippings can cover about 0.115sqm. ---With a pathway, the chippings are laid to a depth of 3.5cm. For 10kg chippings can cover about 0.16sqm. 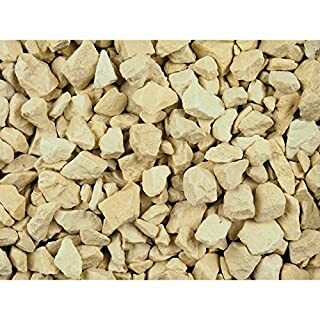 Cotswold Aggregate is a classic cream colour when dry‚ with richer and more golden tones when wet. 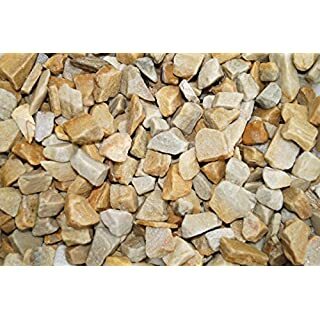 Naturally angular in shape‚ these Cotswold chippings are suitable for mulching of borders‚ paths‚ loose driveways and general landscaping. Limestone chippings top dressing supplied in a 8kg bag. 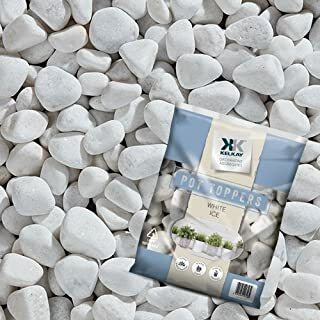 One 8kg bag covers approximately two plant pots with a diameter of 40cm x 40cm to a depth of 1 inches Due to the natural characteristics of Limestone, variations in colour, texture, particle size and shape may occur. Supplied in plastic packaging and can be stored outside without wastage. Some product images have been divided to show the darkening effect when wet against when the product is dry. 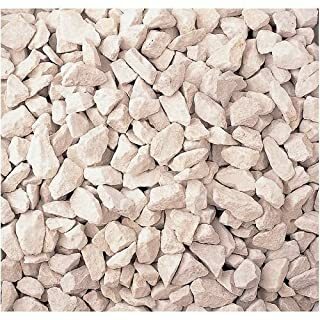 500g White Decorative Stone Chippings 9-13mm Waterproof suitable for exterior and interior plant topping, flower arranging, crafts and table decoration. 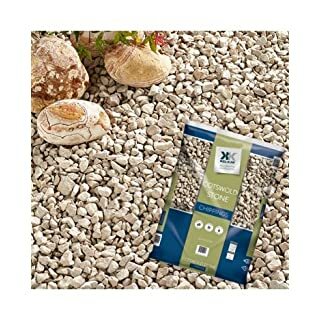 This product offers a bulk aggregate solution for all your garden landscaping projects and is ideal for driveways, garden borders, paths and more. 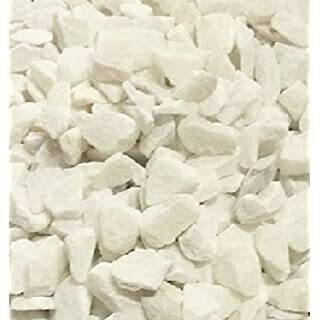 Please note aggregates are a natural product, therefore the exact colour or size can NOT be guaranteed. UK MAINLAND ONLY. After ordering we will contact you to arrange delivery. Access MUST be suitable to accommodate a rigid 16 tonne vehicle with tail-lift, the tail lift cannot operate on inclined surfaces. There must be someone present to accept delivery. A contact telephone number MUST be entered with the delivery details, to enable the delivery company to confirm the delivery date. If a telephone number is not provided the order will remain unprocessed until a time that we are provided with one. All deliveries are made to the nearest flat kerbside. A re-delivery charge of £40.00 (which is to be paid before the receiving the goods) may be applicable for any unsuccessful deliveries. Goods must be inspected before signing. Any damages to the product must be highlighted on the delivery note and given back to the driver. We will not accept any liability for damages to property caused during delivery. The delivery can be made from 08:00 - 18:00 unfortunately we are unable to provide timed deliveries or ETA's. Delivery to postcodes CA, DG, E, EC, EX, FK, G, KA, KY, LD, LL, ML, N, NW, PL, SE, SW, TA, TD, TQ, TR, W and WC may incur a surcharge, please ask before ordering. 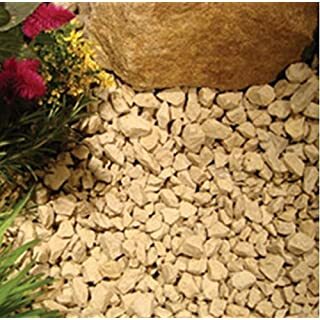 This bulk bag of Cotswold Stone Chippings from Kelkay is an easy way to transform your garden in minutes. They are ideal for paths, driveways, ground cover and mulch as well as being suitable for most ponds and water features. 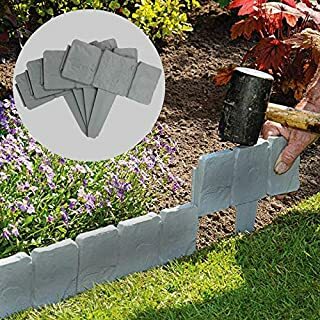 They help keep weeds down and are great for security too. 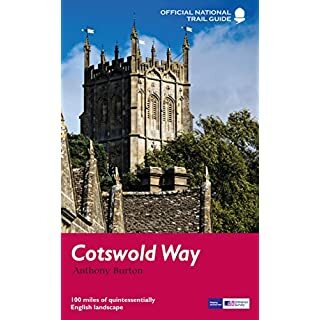 Following the limestone escarpment on the Western edge of the Cotswolds, the 102 miles of the Cotswold Way take the walker through a quintessentially English landscape as varied as it is beautiful. Starting and finishing among the golden Cotswold stone of Chipping Camden and Bath, and affording stunning prospects of the Malvern Hills, the Forest of Dean and even the Black Mountains in Wales, it winds through rolling farmland, magnificent beech woodlands, and up over the austerely beautiful Cleeve Hill with its panoramic views out over Cheltenham and far beyond. With a wealth of historic interest, from Neolithic burial mounds to Roman villas and country houses, this is genuinely a walk through the heart of England.